Although this book is the second in a series, I found it easy to follow… though it was hard not to read about a red-haired character named Molly and not picture Molly Weasley from the Harry Potter books/films. I felt a lot of sympathy for Emilia and Jacob in this book, especially at the beginning. I liked the fact that, although they were really close friends, it was still hard for Jacob and Emilia to be tethered together. I would have liked a bit more detail of how it all worked, though. I thought the idea of the characters using talismans was a really interesting one. I would have liked to know more about why they had different talismans, though… and it was particularly interesting to learn that Jacob’s limitations were perhaps different to the other magic users in the book. I liked Claire an awful lot in this book. She was one of those smart-mouthed characters who adds a bit of humour and even though some of what she said was cliched, I would have really liked to see more of her in this. It was good to see how the society of the centaurs differed to what the children were used to. By the end of the book, Iz’s character had fallen somewhat in my estimation. I didn’t get the opportunity to meet Dexter, but it was good to see how his betrayal had affected Emilia. I felt that the emotions between Emilia and Jacob came across as real and sweet. There were some hard choices that had to be made… but I believed in the relationship between the two characters and also the friendships they formed with others. I would have liked to see a bit more of the people outside of the magic users. In some ways, it did seem like Emilia was over-using her magic… but I thought the author did a good job of showing the differences in the ways Emilia and Jacob viewed and used their magic. 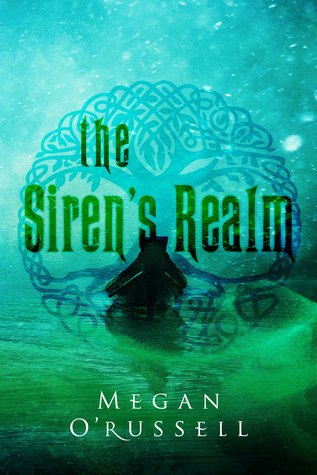 The concept of the Siren’s Realm was an interesting one, but I didn’t really understand the Siren’s motives. I would have liked to learn a bit more about her and her world. At some point in the future, it would be good to read the other books in this series. The ending of this one was immediately intriguing and I’d like to know more about the secondary characters, as well as the two main ones.